Super Getaway Property!!! This 1952 manufactured 2 BR, 1 Bath property is charming, cozy, well kept, clean and furnished. Owner took pride in remodeling and added double insolation in walls. It has a full size refrigerator and stove, new coleman wall furnace. Outdoor shed, riding lawn mower included . All furnishing included. Great views of the Spirit Flowage, 205&apos; of frontage. Rolling dock included. 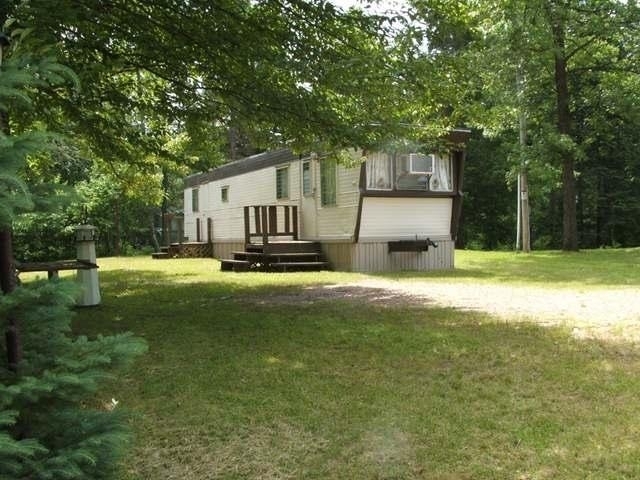 Great, location , close to ATV and snowmobile trails.